Capitalizing on 7 years of extensive industry experience, we are regarded as a reputable trader and exporter of a classy range of Designer Granites. Our product portfolio comprises items like Granite Stones- Absolute Black Granite, Black Galaxy Granite, Bala Flower Granite, Verde Star Granites, Baltic Brown Granites, Sapphire Brown Granites, Indian Granites, Imported Granites, Granites Slabs, Artificial Stone. Stylish Wall of Fame- Wall of Fame. Concepts Tiles- Concept Wall Tiles. 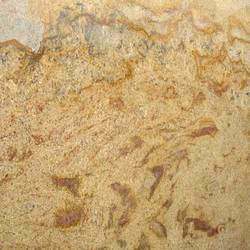 The granites offered by us are highly sought after in the construction and interior furnishing industries. These are used in homes, offices, malls, hotels, airports and lounges. Moreover, these are favored for their exquisite finish, classy look, crack-resistance, durability, shine and smoothness. Our firm has set the highest standards of quality and made alliances with a group of prestigious vendors in the stoning industry. Furthermore, we have made for ourselves a superior and comprehensive infrastructure, incorporating a large warehousing facility and a modern day sales office. Our efficient logistics team takes care of the packaging and delivery of the products. Their high standards of professionalism have contributed to our spotless record of timely delivery schedules. Being a client oriented organization, we seek to make every procedure hassle-free and minimize any instance of inconvenience faced by our customer. For this reason, our clients can avail our products through a number of payment modes, including cash, cheque, credit card and demand draft. Apart from this, our clients can also avail customization facilities on parameters like thickness, size and dimensions.